Formula one races are all about the speed. Manufacturers spend thousands of hours and millions of dollars just to come up with the most rapid cars. Drivers also have to train for years just to learn how to tame the four-wheel monster. Keep reading to learn "fast" info on F1 cars. When you hear the words "fast and car", the first question that would immediately pop into your mind is "How fast can an F1 car go?" The short answer to this question would be "Very Very Fast" while the detailed answer will be discussed in the next few lines. 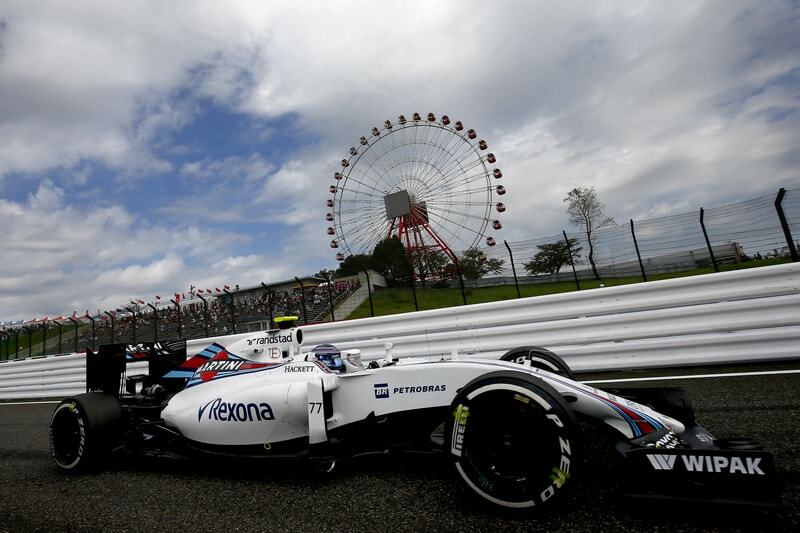 Montoya or Bottas.. a battle for a record. The "official" record to the fastest speed, on Formula one tracks, belongs to Juan Pablo Montoya when he recorded 372.6 km/h. 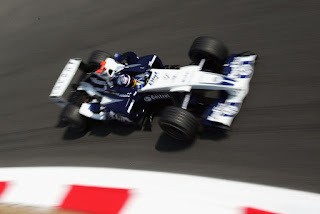 as the top speed In the testing month before the 2005 Italian Grand Prix, FIA recognized the record as the fastest speed ever on F1 tracks although it wasn't set during an official race weekend. But is it really the top speed? 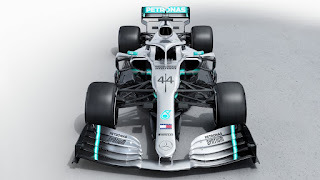 In 2016 Mexican Grand Prix, Valtteri Bottas with his Williams car reached a top speed of 372.54 km/h, FIA's official monitors showed the record, however, FIA hasn't accepted it yet as the official record! Bottas must be really pissed with FIA as in the qualifications for the 2016 European Grand Prix, the Finnish driver set even a higher top speed when reached 378.035 km/h, according to Williams' account on Twitter and again FIA refused to acknowledge the record stating that Bottas' top sped was only 366.1 km/h which didn't break Montoya's record! Aside from Montoya and Bottas confusion, there is a record that beats both former records and with a HUGE margin but also with a twist! In 2005, Bar Honda came up with the Bonneville 400 project. The idea was to make the fastest F1 car of all time and indeed they did. Honda set a record with its modified BAR 007 when it reached a record of 413 km/h. on a one way straight line but FIA explained that the car didn't satisfy the requirements of F1 rules as BAR Honda used a moveable aerodynamic rudder for stability control, Formula one regulations state clearly that any specific parts affect the aerodynamic performance of the car must be rigidly secured. The brave attempt never saw the light of the racing tracks but it turned out to be a huge marketing success for the British company. 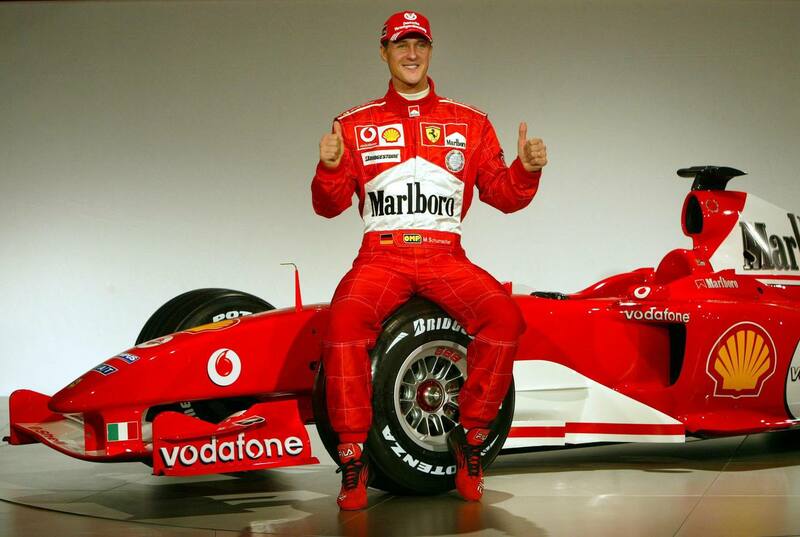 Speaking about top speed, we have to mention the king of fastest laps, and probably the king of the sport in general, Michael Schumacher. 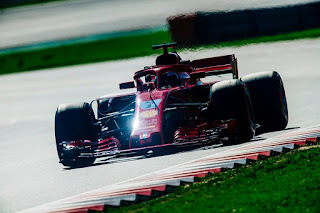 As a result, Raikkonen had another record with the fastest average lap speed of 263.588 km/h. beating Montoya's 262.242 km/h. 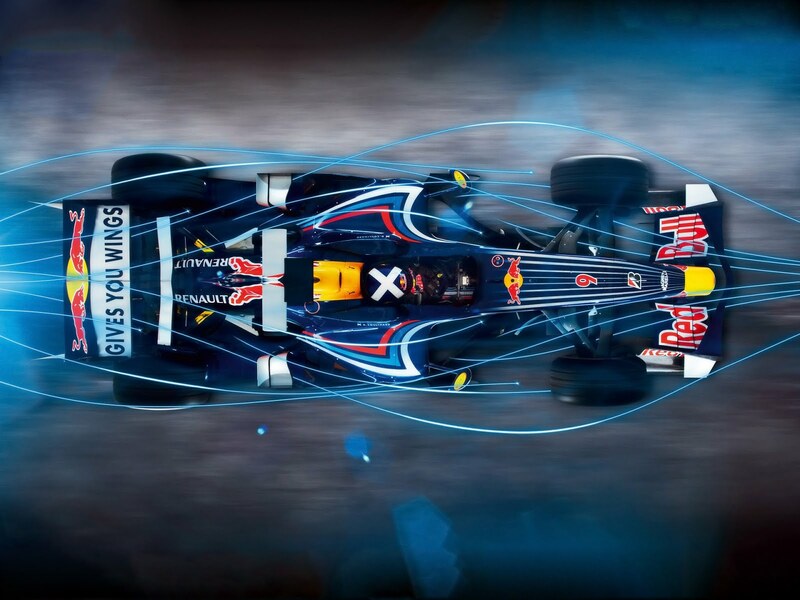 Formula one cars aren't just fast, they get fast….really fast! 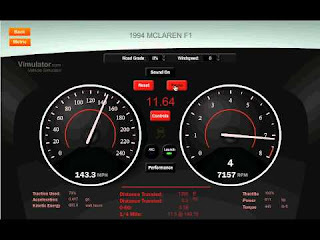 It's great to have a car that reaches 350 km/h but it's fascinating to do that in just seconds, let's shed some light of F1 car's acceleration. Formula one cars are among the fastest accelerating vehicles on earth. Theoretically, F1 cars can reach 0-60 in just 1.6 seconds. However, the normal range for F1 cars is somewhere between 2.1 to 2.7 seconds but what's helping this impressive acceleration? 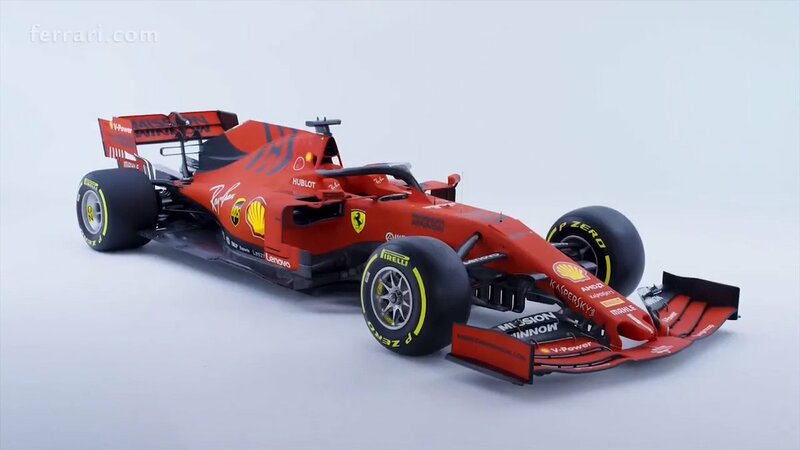 The answer would be its unique "power-to-weight ratio"
The average F1 car weighs around 1,300 pounds including the driver's weight and generates over 750 horsepower. This astonishing ratio is the main reason for its rapid acceleration. Some critics argue that Constructors' championship is more competitive and much more difficult than drivers' championship. That is an understandable argument if we take into account the efforts and details that these constructors care about to come up with the FASTEST car. So what are some of the elements that determine the car's speed? There is a number of factors which affect the speed of F1 cars including (Engine power, downforce setting, and care rake). The constructors pay attention to every little detail hoping to reach the pole positions. Here are some of the fastest cars which would be speed dominating in 2019. Since last year, Toro Roso teamed up with Honda. 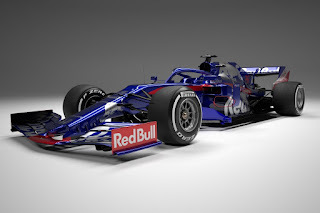 This year, they will bring The STR14 to the tracks. The STR14 has a wider and simplified front wing in addition to a higher rear wing. Both changes aim to improve overtaking. Toro Rosso came ninth at last year's championship and they are hoping for a better position using their new vehicle. It's been a long time since Ferrari last won the F1 constructors' championship. 2019 would mark an 11-year drought for the Italian experts. Last but, surely, not least is the Mercedes W10. There's no doubt that we live in the era of The German Beast. 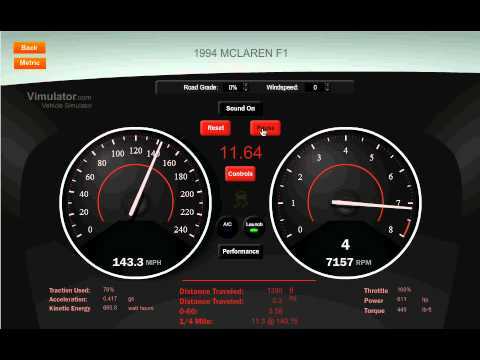 No Comment to " How fast is a Formula 1 car? "